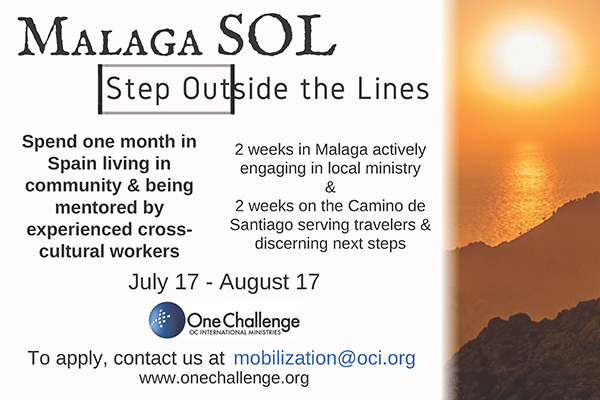 In summer 2016, One Challenge will introduce Málaga – Step Outside the Lines, a four-week, intensive missions experience geared toward young adults, post-high school. “It’s a short-term missions experience seeking to give young people the opportunity to live and serve in a community, specifically in Spain,” says Josh, OC mission mobilizer. The experience takes place from July 17-August 17, and is split into a few sections. The first two weeks will be take place in Málaga, located in southern Spain. “We will live together in a big house, experiencing daily life-on-life mentoring and coaching from the cross-cultural workers in the area. Our ministry focus will be on the immigrant population in Málaga, most likely new refugees from Syria, or the already existing population from Africa,” Josh says. The team will then transition to Ligonde, living and serving at a hostel on the Camino de Santiago. 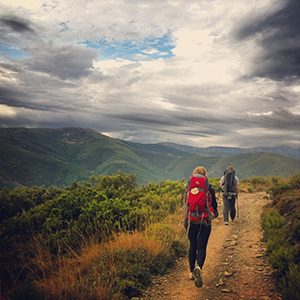 The Camino de Santiago (translated to The Way of Saint James) is a network of routes across Spain leading to the tomb of St. James, where many ended their pilgrimage in the Middle Ages. Today, every year tens of thousands walk or cycle the Camino de Santiago in an epic journey of 500 miles. “Each day we will serve the hundreds of pilgrims walking by the house, taking care of their needs, and encouraging them along the way. We will also take care of the hostel, providing a place for 10 pilgrims to stay each night,” Josh says. The last phase of the mission experience will be walking the final 110 km to Santiago de Compostela together. “We will use this time to focus on our own spiritual growth, practicing spiritual disciplines individually and as a group while we join the stream of pilgrims on El Camino de Santiago,” Josh says. After the four-week mission trip, the team will have a time of reflection and debriefing in Madrid before returning home. Málaga – Step Outside the Lines is an opportunity to be mentored by seasoned mission workers, live in community, and serve in a country where the evangelical population is 1 percent. 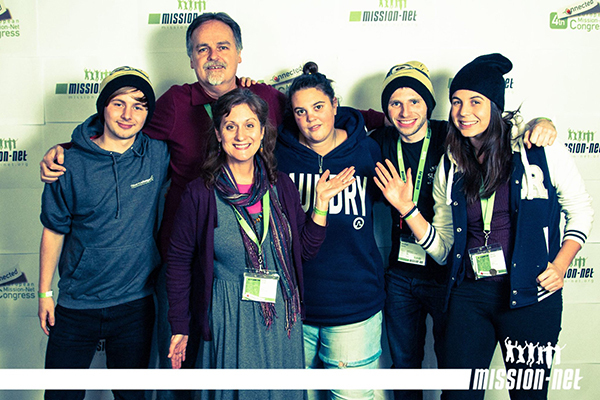 One Challenge invites you to Step Outside the Lines, and experience short-term missions first-hand.